What happened before A Family Affair began? Bestselling author Mary Campisi answers this question in her new Park Bench series. These short stories make the perfect park-bench read, and are named after her signature park bench covers. 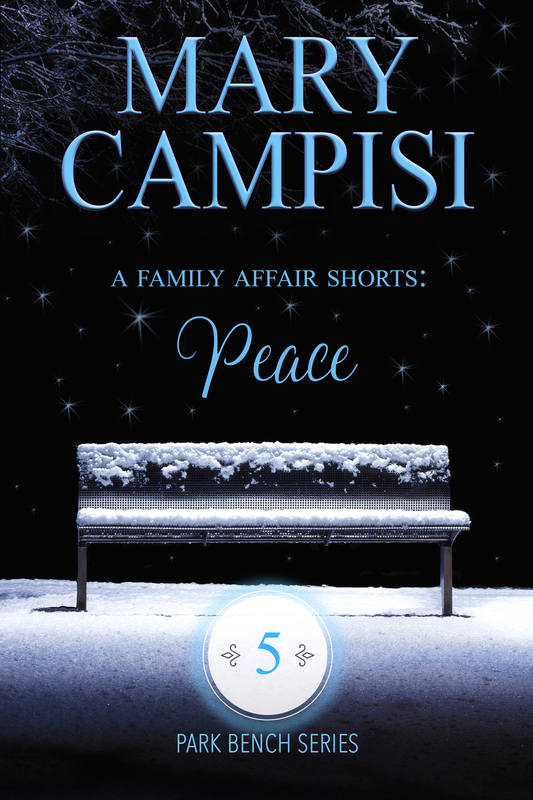 In A Family Affair Shorts: Peace, Book Five, Charles visits Miriam and Lily, as he’s done for the past several years. Their time is ordinary and enjoyable, and passes too quickly. There’s already talk about the next visit and Lily’s fourteenth birthday in a few months. Such grand plans and dreams that will die on the icy road with Charles and create what can only be called fate as his two families converge… And that’s where A Family Affair begins! Charles has written six letters that will reveal the choice he’s made in order to live a more authentic life. However, he dies before he can distribute the letters, and it will take years before they are discovered! Note: These stories are intended for those who’ve read A Family Affair, Book One in the Truth in Lies series, and provide an in-depth look into the lives of the characters readers love to love—even a few they love to hate. Don’t miss these compelling collections!